Teen Driving Deaths Are On the Rise: How and Why? According to a study from the American Academy of Pediatrics (AAP), teenagers have the highest car accident rate of any age group in the country. After years on the decline, teen driving fatalities have been on the increase. The rate of teen driver fatalities went up nine percent from 2014 to 2015. The study listed several risks that may result in teen driver death rates. They are the following. If you are the parent to a new driver and you are concerned, it is with good reason. The statistics are wildly depressing. 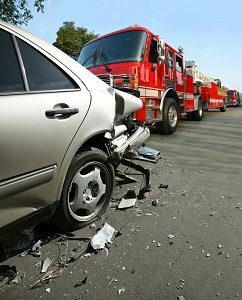 Nearly 6,000 drivers between 15-20 get in fatal car accidents every year. That is insane. New drivers are less likely recognize risks than experienced drivers. Instead of anticipating hazards ahead of them, teens focus their attention on nearby individual hazards. This can make it difficult to deal with certain scenarios that may be outside of their own control, such as an erratic driver. What can you do? Control their usage of the vehicle while they are young and inexperienced. Keep them off the road at night. Keep them on the safest routes. Monitor what they are doing and how they are driving. Driving one’s friends around can increase the risk of crashing for teen drivers. This may be due to distractions or negative peer influences on driving norms. A teenager’s likelihood of getting involved in a fatal car accident is related to the number of teen passengers in their car. According to the study, the presence of multiple teen passengers can increase the risk of a crash for teen drivers. This is because having multiple passengers can be linked to distracted driving, speeding, or alcohol use. Speeding significantly increases one’s risk of getting into a car accident. Teen drivers are statistically more likely to drive at unsafe speeds. They are also less likely to leave space between them and the car in front of them. Their inexperience behind the wheel can affect their ability to control their car at high speeds. 36% of fatal crashes involving 15 to 18-year-olds involved speeding. Being distracted is a risk for drivers of all ages. It comes in three different forms. They are visual, manual, and cognitive. Visual distractions involve taking one’s eyes off the road. Manual distractions involve removing one’s hands from the vehicle’s instruments. Cognitive distraction involves having one’s attention diverted from driving. Electronic devices such as cell phones can involve all three types of distraction at the same time. The more distractions one has, the more likely they will get into an accident. No surprise here, right? Being impaired significantly increases one’s risk of getting themselves into an accident. Alcohol was a factor in 16% of fatal car accidents involving children under 14. More than half of those impaired drivers had a blood alcohol content (BAC) greater than 0.08. This is above the legal limit in most states for drivers 21 and over. Lack of sleep can affect driving, no matter the age. It affects reflexes and cognitive function. However, teen drivers can especially be at risk because of early school start times. According to the AAP study, starting school later can benefit reduce teen driver crashes. Nighttime driving can also increase the risk of teen driving crashes because of reduced visibility. Night driving coupled with other factors make teen drivers especially susceptible to getting into an accident. Factors such as alcohol and drug use can also affect nighttime driving because these activities are usually done at night. Inexperience behind the wheel can also impact a teenager’s ability to drive at night as well. Your child’s brain will continue to develop well after they obtain their license. Adolescence comes with changes in the brain, especially in the regions that control behavior, emotions, and decision-making. Lack of self-control, attention, and executive function may also contribute to bad driving habits in teens. However, there are no signs that these three are a crash risk on their own. Other behaviors such as risk-taking are less age-related and more neurobiological. This is a problem no one is grasping. We have to focus more on the association between ADHD and teenage car accidents. While each of these previously mentioned risks cause problems, they can be especially amplified if a teen has ADHD. Teens with ADHD are at a serious disadvantage when they begin learning how to drive. They are 36% more likely than their peers to get into an accident. This is because drivers with ADHD can be less attentive to driving tasks. They are very easily susceptible to distractions caused by technology, passengers, and other factors. While data involving teens appears inconclusive, adults with ADHD were 40% less likely to visit the emergency room for injuries sustained from a car accident. Medication effectiveness can also vary, depending on when it was taken. If a teen takes their medication in the morning, it may wear out during the evening, when there is an increased risk of crash. Many children with ADHD are also untreated and sometimes children do not always take their medication. This can also increase the risk of a crash as well. As a parent, you should pay extra attention to your child’s driving habits and set some boundaries. This can help prevent them from becoming susceptible to the aforementioned risks. For example, set a curfew that is earlier than the legal one for teens under 18. Never have them drive without a responsible adult, even once they obtain their license. Make sure you know how responsible your child is and their behaviorism. Know their maturity level as well, as this can also affect their driving performance. This can help you properly train your child on how to become a better driver. There are lots of studies available online with statistics and facts about the risks of teenage driving. What you do not see much talk about is ADHD and how that impacts the risk to our children. Here are some articles that better explain this issue. Jerome, L., A. Segal, et al. (2006). “What We Know About ADHD and Driving Risk: A Literature Review, Meta-Analysis, and Critique.” Canadian Academy of Child and Adolescent Psychiatry 15(3): 105-125. Simons-Morton, B., N. Lerner, et al. (2005). “The observed effects of teenage passengers on the risky driving behavior of teenage drivers.” Accident Analysis & Prevention 37: 973-982. Thompson, A. L., B. S. G. Molina, et al. (2007). “Risky Driving in Adolescents and Young Adults with Childhood ADHD.” Journal of Pediatric Psychology 32(7): 745-759. Barkley, R. A., K. R. Murphy, et al. (2002). “Driving in young adults with attention deficit hyperactivity disorder: Knowledge, performance, adverse outcomes, and the role of executive functioning.” Journal of the International Neuropsychological Society 8: 655-672. McNamara, J., S.-L. Vervaeke, et al. (2008). “Learning Disabilities and Risk-Taking Behavior in Adolescents: A Comparison of Those With and Without Comorbid Attention-Deficit/Hyperactivity Disorder.” Journal of Learning Disabilities 41(6): 561-574. Richards, T. L., J. L. Deffenbacher, et al. (2002). “Driving anger and other driving-related behaviors in high and low ADHD symptom college students.” J Atten Disord 6(25).